Bhubaneswar:10/8/18: The State government today decided to increase the one-time honorarium for ASHA workers to Rs 20,000 from Rs 10,000 under the ASHA Abyahati Yojana. The honorarium amount will be paid under the Voluntary Retirement Scheme (VRS) to ASHA workers who have completed at least 10 years of service or get retired at the age of 62. Besides, financial assistance of Rs 10,000 will be given to the each ASHA worker to buy umbrella, bicycle, almirah and rechargeable torchlight. “Each ASHA worker will be provided Rs 10,000 one-time financial grant which will be remitted directly to their bank accounts,” said Shalini Pandit, Odisha Mission Director of National Health Mission (NHM). With this decision, as many as 47,000 ASHA workers working in rural and urban areas of the State will be benefitted. ASHA workers are getting conditional remuneration of Rs 2,000 per month effective from April 1 this year for discharging five mandatory and four assured activities. “Keeping in view the ensuing polls, the State government is making announcements only. 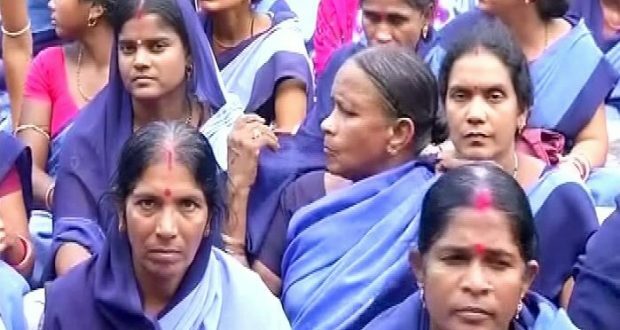 If they want ASHA workers to be happy, the government should provide them monthly remuneration,” said Golak Mohapatra, spokesperson, Odisha BJP.